Many individuals with autism are highly intelligent and gifted, but some are effectively imprisoned in their bodies and unable to communicate verbally. However, developments in technology have enabled autistic people to transmit their thoughts directly. In this true account, three autistic people, two of them brothers, speak via the method of "facilitated communication", with the aid of a computer keypad. What is conveyed are not just everyday thoughts and experiences, but surprising and sometimes shattering spiritual and metaphysical perceptions. The conversations reveal remarkable clairvoyant gifts, such as the ability to read other people's thoughts, to see past lives, and to communicate with supernatural entities. Erik speaks of a past life during the Second World War, and the horrendous experience of being killed at Bergen-Belsen concentration camp. As a result of this, his soul had no desire to reincarnate on earth - although he also describes encounters with Christ, and how these eventually led to his present life. Andreas speaks of his perceptions of elemental beings - nature spirits - and how we can develop more intimate contact with such entities, for example through special kinds of music. He also describes Christ's working in nature as well as his Second Coming. Each of the interviewees discuss meditation and how it can engender vital spiritual processes and perceptions. 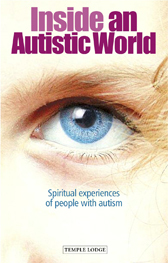 Together, their insights provide an astonishing glimpse into the way some people with autism appear to experience the world, and how their experiences can enrich our own. Additional interviews with educators and therapists working with people with disabilities in the autistic spectrum give a broad view of progressive and inspirational educational methods.